I had a whirlwind of a year. I graduated. I started my first-full time job. I adopted a kitten (more on that later). I also came across a couple of new things in my life that I can’t live without anymore. Thank you to the people who showed me some of these awesome things, and to the blackhole of the internet which randomly introduced me to everything else! Luxe can be explained with the canonical startup phrase “Uber for X”, where X is parking, one of the most detested activities known to modern man (and woman). But fret no longer! 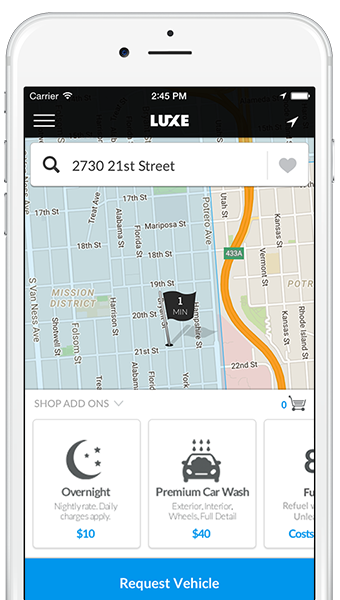 With Luxe, I drive up to San Francisco, let the app know where I need to arrive at (aka hipster coffee shop, friend’s place most people can’t afford, random event for techies), and have a valet waiting for me right outside when I get there. The valet takes my car to Luxe’s secure garage. However long later in the day, when I am clear across the city, I let the app know I need my car back. The valet drives it to my new location. Voila! No need to get back to my old parking location or worry about finding reasonable parking rates all over the city. In San Francisco, Luxe is usually around $5/hour to start, with the maximum you’ll pay at $15 for the day. That’s about the same price as most parking lots in SF, but the car is driven back to you when you are in a different part of town. So it’s worth it! I am actually eager to go up to SF nowadays, because I don’t worry about parking anymore. When you sign up for the app (available on both Android and iOS) use my promo code ALEX384 and you’ll get $20 credit. That’s a free day of parking in SF (or any of the other cities they support). You’re welcome. Shoutout to my friend Jessica who introduced me to this app! Lo & Sons is a travel bag company that is rooted in human-centered design, so of course I would become obsessed. Two sons aimed to create a bag for their mother that fit all her needs when traveling. They started with research at airports and commuting areas to understand how people travel, and then spent many iterations crafting the perfect bag. Now their product line has expanded beyond travel into everyday and work bags, as well as catering to both men and women. Two great things about this company: 1) since I’ve become a fan, they’ve had loads of sales, and will definitely have more sales to come. All my purchases were at least 30% off. 2) all their products feature a video showing how much fits in the bag. GENIUS MARKETING! I have not found nearly enough other companies that do this. I am in love with the bags I purchased from Lo & Sons. I did a ton of research, and ending up buying two bags. The first is a weekender bag called The Catalina, meant to push myself to take more weekend trips now that I’m not overwhelemed with schoolwork. What drew me to this bag was the large bottom zipper pocket that can fit towels, shoes, dirty clothes, whatever. I always hate having my shoes and dirty things touch the rest of my stuff, so this was music to my ears. The second bag is The Pearl in black nappa leather, which people aware of my L&S obsession know I talk about at any chance I get. I was drawn to it because of the padded zipper compartment for protecting a mini-tablet/eReader — nowhere else could I find something similar. The leather is also crazy soft while being super sturdy. There’s also just a ton of pockets in the relatively small bag, so it fits everything I need. And the strap can be adjusted to crossbody, shoulder, or clutch mode, making the bag even more versatile. I could go on for days, but I’ll stop here and let you take a look at all their videos and products yourself. Sorry in advance to your wallet, but also you’re welcome for your wallet’s new home. Shoutout to Facebook’s scary newsfeed target advertising which sent me on a spiral into a purse addiction that landed me at this company! GCat Rescue is a gift to both the community and the feral cats born to a hard life on the streets. There are a surprising number of cats that live around the Google campus in Mountain View, and GCat Rescue swoops in to take care of them. Through the process of Trap-Neuter-Return, stray kittens and friendly adults are trapped and adopted out to loving homes, and untame adults are neutered and vaccinated before being returned to lifelong outdoor care. The hope is that less kittens are born into the wild to control the population, and those already in need of homes can find good people to bring the kitties into their families. GCat Rescue exists largely because of the work of a wonderful woman fittingly named Angela. She is my new hero. With her help, anyone throughout the Bay Area can adopt a cat through this organization. Better yet, it’s free (though of course a donation to the Clinic that helps is suggested) and your kitten arrives fully checked-out by the vet thanks to the “kitten package”. So yes, I started out the year not planning on getting another cat so soon after Collage, and ended it the proud momma of Dolly, a sweet calico kitten who purrs like a tractor. It’s adorable. Shoutout to my friend Neetu who introduced me to this organization! The Kindle Paperwhite is not something I had planned on getting at the beginning of 2015. I was of the mindset that eReaders were destroying books and that I’d never betray my family of paperbacks and hardcovers, what with just a whiff of their fresh inky pages I could transport myself to whole other worlds. But then I betrayed them and I couldn’t be happier. No, I’m kidding. I still buy an inordanite amount of books when I step into indie/used bookstores. But the Kindle allows me to read all the novels I nominated on Kindle Scout that get selected for publishing (if it’s selected, you get to download it for free) — and I must say, I have quite the eye for talent (cough 14 out of 35 have been published cough). Shoutout to my mom for convincing me to get this after so much debate with myself, and to my friends Katherine and Sirisha for flaunting their own eReaders in my face! Checking out eBooks from the library has become one of the great pleasures of my life. To those of you who live in California, newsflash: You can get a library card at ANY library in ANY city in the state. And with that power comes great privilege — probable access to Overdrive. 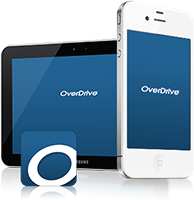 Most libraries seem to use Overdrive, though some have other eBook distrubtors. Nevertheless, I’ll focus on Overdrive because I am most familiar with this platform. Log in, find the book you want to borrow, and either check it out or put it on hold depending on its popularity with other library patrons (for example, all 25 copies of The Martian had 5 people each in line). But you can put a ton of books on hold at once, and check them out as they become available. Make sure you check your settings for a 21 day loan period to get ample reading time. It’s also easy to return the books over WiFi automatically without having to rush to a library. Then, the platform makes it easy to borrow it as a Kindle book, go to Amazon, and send the book to your Kindle device for reading! And hey, if you think you need over 21 days to read your mountain of freshly claimed library eBooks, and you just happen to turn your Kindle to airplane mode, and the WiFi just happens to be unable to connect in order to return the books, that’s just how life goes. Things happen. I know I go on and on about the Kindle, but the great thing about libraries on Overdrive is that you can also check books out as ePub files, which work on Nooks and other eReaders. Now go out and read to your heart’s content! Borrowing eBooks from the library will break you even on the Kindle purchase in no time. Also, if you love audiobooks, you can borrow those online as well. Shoutout to the Katherine noted above who gave me this life hack which led to my ultimate decision of purchasing a Kindle! KFOG is my replacement for KPRi in San Diego, a beloved alt-rock station that was sold halfway through 2015 and will be forever missed. KPRi introduced me to some of the best new songs last year. KFOG is also that good. They play everything from the classics to new favorites, and have awesome sets such as the KFOG 60 minute flight (an hour of music, no commercials) and their Acoustic Sunrise and Sunset (which is just what the name implies). Become a Foghead to enter contests and get invites to KFOG Private Concerts — if they’re anything like KPRi’s concerts (and I have a feeling they are), then they are not something you want to miss. Listen to KFOG online or on FM 104.5 (San Francisco) / FM 97.7 (South Bay). Shoutout to my dad for helping me move into my new apartment and taking me nonstop Craigslist hunting, which - through hours of driving - led to us finding this radio station! Just Between Us is a YouTube sketch comedy channel created by two best friends, Allison Raskin and Gaby Dunn. You might recognize them from a plethora of BuzzFeed videos. Just Between Us is their own channel with all original content. Their humor is witty and so on-point. Some of my favorites include: Allison’s Bachelorette Audition, Let Me Walk You, The Party Prisoner, and You Know Too Much. They’re not afraid to laugh at hard truths and bring up topics others shy away from, such as mental illness. I am rooting for this comedic duo (dare I say the Jewish, Millennial Tina and Amy?!) and can’t wait to watch what they have in store this year. Plus I’m hoping to meet them at VidCon. Shoutout to the blackhole that is YouTube Related Videos! Explain Things To Me is a podcast by the phenomenally talented Anna Akana and her equally talented, redheaded co-host Brad Gage. Each episode they sit down with an expert in a different field and talk about what the experts do, how they got into their profession, etc. If you like Slate’s Working podcast, this will also be right up your alley. The first episode I listened to featured a professional card counter, and it was crazy enlightening. For one, I had the fleeting desire to drop everything and join a merry band of card counting anti-heroes myself. And two, because I actually stayed engaged in the whole thing. I was still a podcast newbie when I started listening to Explain Things To Me (the last big podcast I followed was Mugglecast way back in the day #harrypotterfanforlife #noregrets). Anna and Brad take such a genuine interest in the people they interview, from a Taxidermist to a Professional Gamer to a NASA Engineer to an Aerialist, and you can hear it in their conversation. You feel like you’re there right along with them, getting all your questions answered and then some. If you happen to like watching podcasts, Anna previously posted episodes on her YouTube channel. But I say open up your preferred podcasting app, subscribe to Explain Things To Me, and sit back and let the learning wash over you. Shoutout to whatever random clickbait article led me to Anna Akana’s channel, which led me to her podcast!